A belated thank you to everyone who was able to make it to the Annual Meeting in January. If you were not able to attend, and would like a copy of the 2014 Annual Report, please let me know. 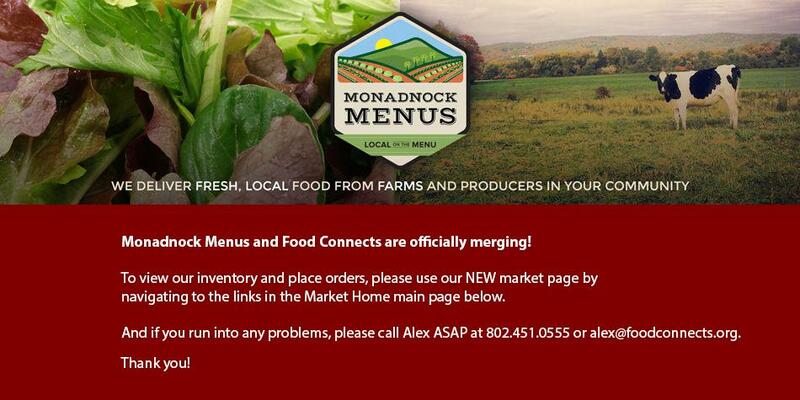 Monadnock Menus in the News - check out the article which appeared in the Keene Sentinel Business section on January 31st. Thanks to everyone who spoke to the reporter at the meeting, and to Aylmer for a great photo! Picadilly Farm has sold out for the season. No rest for the weary though, as farmers are busy purchasing seeds, planning their crop locations, and will be clearing out greenhouses to get ready for the upcoming season. We still have some great produce available, including Cabbage for Harvest of the Month and some new potato varieties listed. Currently available: apples, beets, carrots, cabbage, celeriac, potatoes, rutabagas, onions, turnips, herbs, and more! We also have delicious bread, bagels, yogurt, pudding, cheese, maple syrup, granola, and local meat. February Harvest of the Month is Cabbage! Next month - Beets & Rutabagas! Check out the website for some great recipes and free educational materials for your cafeteria or shop.